Our fine artisan chocolates are hand made in Arima, Trinidad & Tobago. The majority of our trintario cocoa beans are grown on a single estate in the hills of Brasso Seco, Paria and provide a mellow yet rich chocolate flavour to our creations. Our made to order bon bons and truffles are packed with the finest ingredients for an experience you won't soon forget. If your heart is set on something you don't see listed, ask us and we'll do our best to customize something just for you! Our solid chocolates can be made in any of our chocolate varieties on your request. These dark chocolate morsels are individually airbrushed with a blend of coloured cocoa butters to give each a unique look. These airbrushed dark chocolate flowers almost look too pretty to eat... almost. These chocolate morsels come in plain and airbrushed varieties. This 5g chocolate bar is infused with Nutmeg, one of the common spices used by the First Peoples. 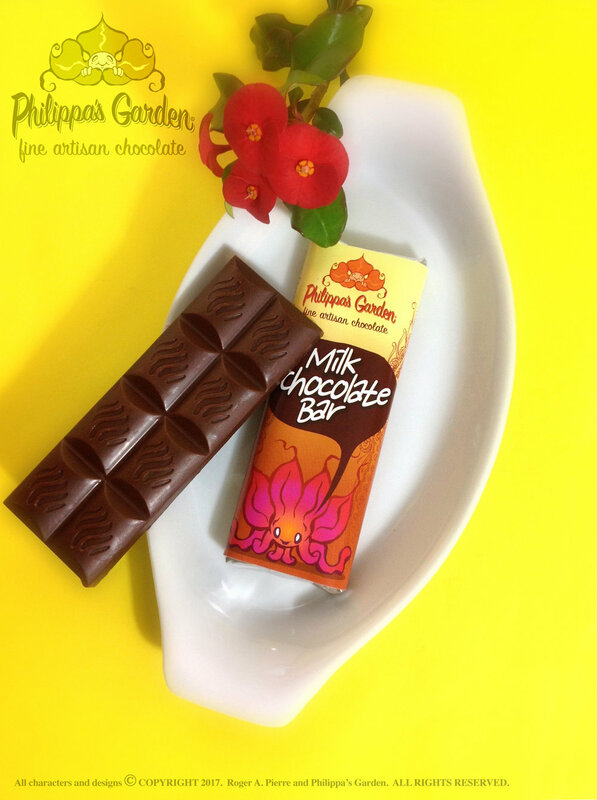 Proceeds from the sale of this bar are donated to the Santa Rosa First Peoples Community. Chocolates and truffles crafted to highlight different seasons through the year. Our bon bons are typically done to order and may be subject to availability of some products. All chocolates are typically done in 70% dark chocolate but can be made in any of our other varieties upon request. Add some artisan chocolates to give your Easter Baskets that special touch. Our Easter bunnies have a gooey soft caramel center covered in 70% dark chocolate. It's always a good idea to mark the Christmas Season with a little themed chocolate. So many flavours... So little time! Our chocolate bon bons and truffles are made with mainly local ingredients and are generally done to order. Bon bons can be made in any of our chocolate varieties so be sure to specify when ordering. Note: Our bon bons and truffles contain cream, fruit purees and some have nuts. Please let us know of any allergies when ordering. We recommend that they be refrigerated in an airtight container and consumed within 10-14 days. Chocolate ganache infused with delightful flavours and rolled in a selection of coatings. Almond flakes in an amaretto flavoured white chocolate ganache, encased in chocolate and topped with crushed almonds. White chocolate ganache infused with Baileys liqueur, encased in dark chocolate. Coconut cream and grated coconut center, encased in 70% dark chocolate and topped with a sprinkle of grated coconut. Dark chocolate ganache infused with home brewed Brasso Seco coffee and coffee liqueur and enrobed in 70% dark chocolate. Banana puree and peanut butter infused into a white chocolate ganache, encased in 70% dark chocolate and topped with a peanut. 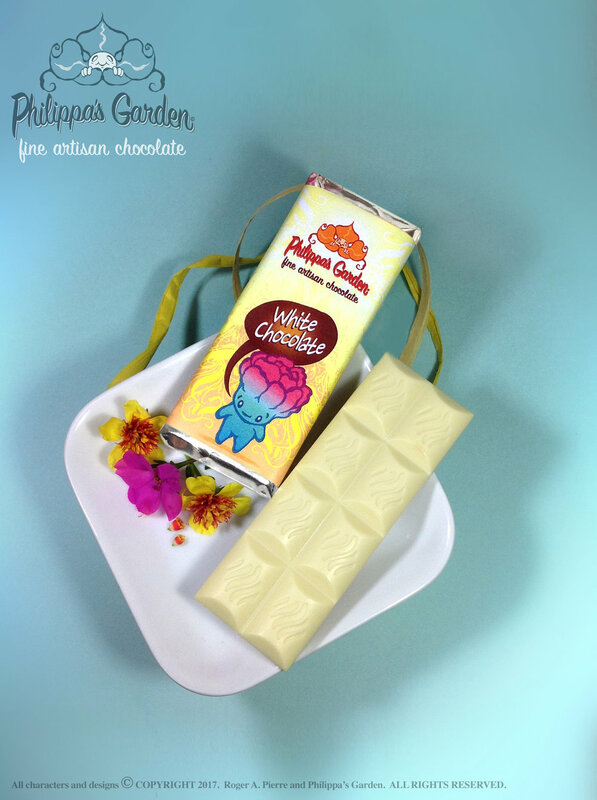 Nuts, Fruits, Cocoa Nibs and more, swirled into our Dark, Milk or White Chocolate. Have a favourite combo in mind? Ask and we'll mix 'em in for you. Our traditional Cocoa Tea roses are 100% roasted and ground trinitario cocoa beans. Cuddle up with a cup on a rainy day or grate a little into your coffee for a unique flavour. Grate 2 Cocoa Tea roses into a cup of boiling water with optional spices (e.g. nutmeg or bay leaf) for at least 5 minutes, add condensed milk to taste and enjoy. A combination of our 40% and 80% dark chocolates with a special touch. Place into a mug o steaming hot milk, stir and enjoy. 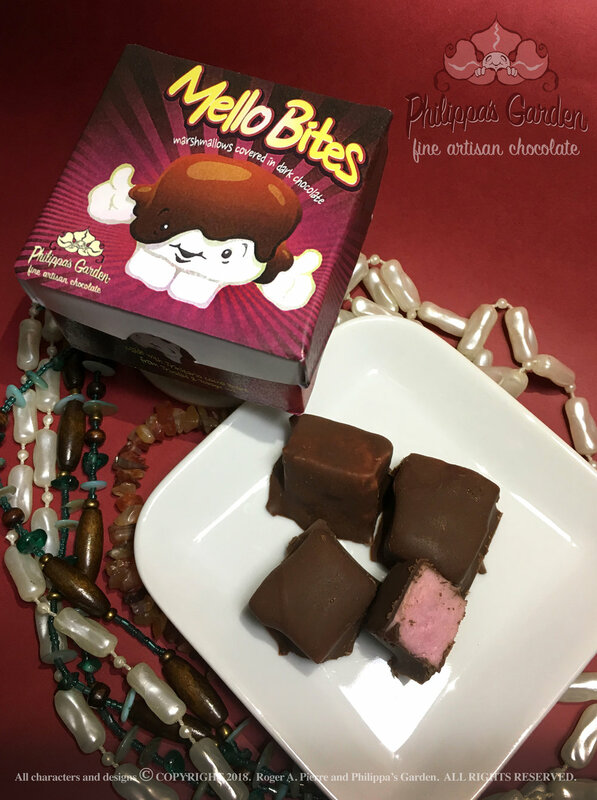 Assorted flavours of homemade marshmallows covered in dark chocolate. Four pieces per box. Our growing list of flavours includes: Hibiscus rosehip, Vanilla maple, Sorrel, Vanilla, Orange, Pomegranate, Passion fruit, Coffee, Cocoa, Mango, Pineapple and Ponche de Creme. More to come! Our homemade mixture of 70% dark chocolate chunks, old fashioned rolled oats, honey, coconut oil, coconut sugar, maple syrup, sunflower seeds, pumpkin seeds, walnuts, almonds, raisins and flax seeds make for the perfect snack. Available in 130g bottle, 90g and 40g packages. Our boxes can hold anywhere from 1 to 12 pieces. It's up to you which solid chocolates, bon bons or combination of the two you'd like to fill them with. 10 bon bons or solid chocolates in one box. 12 bon bons or solid chocolates or a combination of both. 4 bon bons or solid chocolates in a cute little window box. Our assorted boxes are perfect for a quick gift. You choose the price point and we added items to suit. You can make your preferences or leave it up to us. Just give us a price point and we will put together a assortment of chocolaty goodies.